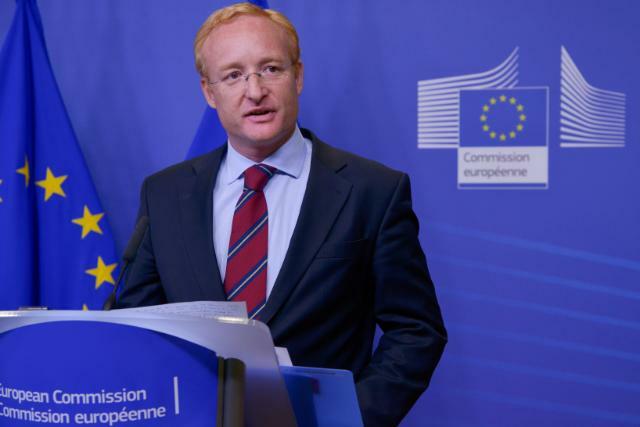 The appointment of Antonio Campinos as new president of the European Patent Organisation has had a cautious reception. Campinos was elected during a meeting of the Administrative Council of the EPO earlier this month. He will succeed the controversial president Benoit Battistelli, whose term in office has been marked by years of deep social unrest. The appointment of Campinos, whose five-year term will start on 1 July 2018, didn’t come as a surprise. He had long been considered a potential successor of Battistelli. His only competitor was Cuno Tarfusser, an Italian judge at the International Criminal Court. No more than one round of voting was necessary to reach the qualified majority of three quarters of the votes of the 38 member states. Campinos’ experience in IP affairs is undisputed and he has shown his leadership skills as executive director of the European Union Intellectual Property Office (EUIPO) for seven years. Before that, he was president of the Portuguese Institute of Industrial Property (INPI) and served as the Portuguese representative on the EPO’s Administrative Council. At the EUIPO, Campinos ‘led a transformation of the EUIPO’s operations, oversaw the convergence programme [leading to greater harmonisation of practice across the continent, ed. ], expanded the office’s operations and worked with national offices to facilitate the expansion of European Trademark and Design Network activities’, according to a report of the World Trademark Review, which asked relevant associations and national IP offices in the EU for a reaction. ‘Mr Campinos brings tremendous value to the EPO’, ‘He brings with him a wealth of experience and knowledge of both the challenges and the opportunities that the global IP system presents’, were just a few of their positive words. At the EPO, Campinos will certainly need all these qualities, as he will have to cope with severe problems at the organisation. While the EPO reports about improved productivity, a recent post on this blog – about a lecture of the new chairman of the EPO’s Administrative Council, Christoph Ernst – describes the catastrophic backlog of EPO appeal cases, created among others by the serious understaffing of the Technical Boards of Appeal. There have also been concerns about deteriorating patent quality. Another big issue are the deep social conflicts at the EPO. President Benoit Battistelli has been under fire for years – not only internally, but also from courts and several member states – for his authoritarian leadership and the way he pushes through reforms. He doesn’t recognize the most important staff union, SUEPO, demoted or dismissed several of its leaders, introduced controversial disciplinary proceedings; he was criticized for violating fundamental rights of its staff and ignoring the independence of the Boards of Appeal. Several suicides have been linked to the problems at the EPO. The social tensions rose to such a level that in the vacany notice for a new president, which was published this summer, ‘thorough knowledge and proven practical application of modern management methods, including an outstanding ability to establish and foster social dialogue’ were deemed more important than the ‘advantage’ that a candidate had ‘practical experience in patent matters, in-depth understanding of the patent system and knowledge of the European Patent Organisation’.